In essence, networking is all about developing rapport, building connections, and interacting with people in order to expand your circle of influence. Good networking is important for the growth of your career. Through development of lasting relationships for mutual gain and creation of lasting impressions with different individuals, you will be able to benefit from it both professionally and personally. Business networking is undoubtedly one the most successful marketing techniques to sustain and accelerate your success. It is a valuable tactic to increase your knowledge, learn from others’ success, attract new clients, and nurture your business. Sharing knowledge and ideas is one of the major advantages of networking. Whether you share your opinion, discuss a viewpoint, or obtain feedback, networking will assist you in expanding your knowledge and allowing you to view things from a different perspective. From our experience business networking opens up a whole new world of opportunities. From business partnerships to client leads, from joint ventures to asset or business sales and so many more, your business is bound to land referrals and that too of excellent quality. It helps in growing your business. It is then completely up to your business as to how you make use of these opportunities. Opportunities you can take on include attending local business events, business seminars and “meetups”. According to a survey, 70% jobs are found due to networking and people find out about 40% jobs which are not advertised. This shows that there are plenty of opportunities for individuals who opt for networking. Through business networking, you can improve the credibility and reputation of your business. As you gradually start meeting more people, you will eventually attain a reputation as being someone who loves interacting with and helping people. Once your reputation and credibility grows, you will get better opportunities and support. You will be able to help others with valuable sources, ideas, and information. This will further enhance your credibility. Regular networking will assist in improving your confidence. The more you do it, the better you will become. This is something extremely important being a business owner or someone who represents a business. The way you talk, convey your message, and make connections, strongly impacts your business. It is important to remember that business networking is not merely about getting exposure and promoting your business, it is also about making connections with other networks as well. This is an opportunity for mutual gain. If you have the resources and information to help out others, then you should, and if they know someone in need that matches your skills and your business, then you will surely gain a referral. This works both ways and helps strengthen business relations. Business networking is also an opportunity of exchanging knowledge about best practices, business tactics, and latest trends of the market. A network with interconnected and well-informed contacts means wider access to valuable and new information. Through business networking, you can attain valuable advice and support of experienced peers. It is the best platform to discuss opportunities and challenges as it will open doors to valuable guidance and suggestions. You can make the foundation and relationship even stronger by offering advice and giving suggestions to your contacts. There are countless more benefits of business networking. It is important to stay in regular contact with your connections in order to attain the maximum advantages for you and for your business. There are still sceptics out there who do not understand the advantages of social media for their business, sticking stubbornly to traditional marketing methods. However, businesses over the world have started recognising the importance of social media for their success and growth. The key to success for any business in the industry is understanding their target audience. Social media helps you do just that. With the help of tools like Facebook Insights in Hootsuite, it is possible to determine the age and gender of the social media audience, in addition to a number of other insights. Business can cater campaigns and product offers to their target audience using this knowledge, ultimately leading to a higher return on investment. Social media allows the customers to provide feedback – positive or negative – giving the business valuable insight on how customers perceive the business and its offerings. For instance, many companies launch new products on social media to gauge how well it is received by their audience. One can also glean insights on how customers’ needs are evolving with regards to their offerings, allowing them to cater to their products and services better to customers’ tastes, preferences, and needs. New product ideas can also stem from this insight. One of the most important benefits of using social media for a business is the increase in web traffic. It helps direct people to the business’s website. Moreover, the higher the number of shares of a business’ posts on social media, the greater its search ranking and online exposure. Use keywords in your post title and subheadings for good results in search media optimisation. 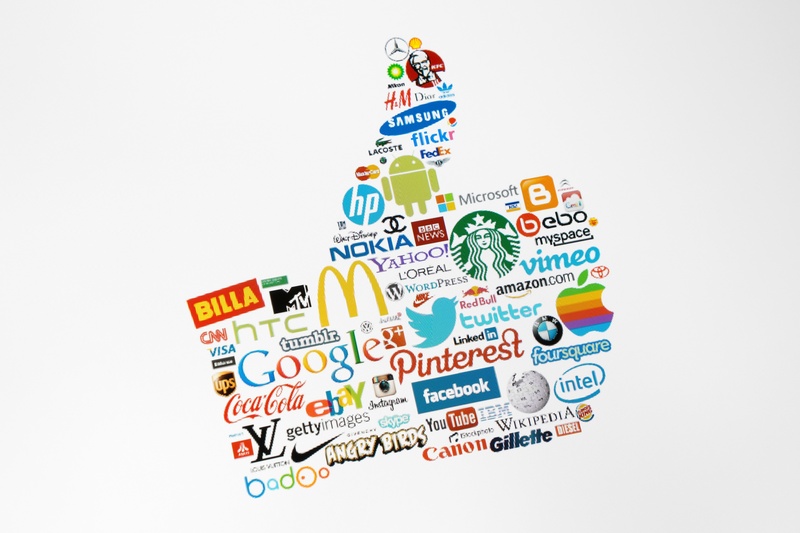 Companies have managed to increase brand awareness with the help of social media with minimal or no budget. Traditional methods of advertising were associated with higher cost of brand awareness strategies. Marketing departments across countries are hiring community mangers now in an attempt to increase brand awareness and reach through social media. These community managers foster relationships with the online audience scattered in different locations. Social media has made sharing content easier and faster. Companies now use social media for content curation or sharing content about their business in particular. All they do is share their brand on their social network accounts. However, companies should keep in mind that if they want customers to share your content with their followers, they need to ensure that their social media content is aligned to the brand and captures the attention of the audience. Social media help businesses gain valuable information about their competitors, improving your market intelligence. This information will allow companies to stay ahead of their competitors by making strategic business decisions. For instance, through Hootsuite, businesses can create search streams to monitor their competitors. Based on the results they can offer a new product which their competitors are missing, thus improving their business. There you go- some of the many benefits of using social media for business disclosed. The perfect solution for your company’s multi-channel marketing automation needs, Autopilot creates a unique journey for your customer by sending them texts and emails at the right time. For instance, if they’re reading your blog and read through to the end, they will receive a tiny little box at the bottom corner of the screen asking for their name and email address so they could subscribe to your website for more updates later. You can execute any marketing campaign by simple drag and drop tools which also support ROI reporting. Send customized SMS and postcards to make your customer’s journey more memorable – it is as easy as sending an email with personalization variables. The best feature is adding call-to-action (CTA) at the end of your blog which prompts visitors to download your content or pay for a feature. Learn how Conversational Software works. Request a demo today! There is no dearth of social channels available, whether it is Twitter, Facebook, Instagram or a host of other similar services. Your next customer could very well be using either one of these services and all that is required of you is to reach them. However it quickly becomes overburdening for you to effectively engage customers across all these dozens of channels. This is where Hootsuite comes in. Hootsuite is a powerful tool that can easily represent all your social accounts in a single, neatly presented dashboard. You gain access to powerful analytics software which will help you analyze leads and opportunities that can benefit your business the most, all the while combining scalability, support and security in one tiny, affordable package. It is overwhelming keeping track of all user activity that your business is interested in tracking. TweetDeck presents Messages, Activity and your Mentions in a neatly categorized user interface which can be customized to your preferences. Perhaps the most useful feature from a pure data analytics point of view is the Activity bar, which allows you to keep track of a select group of Twitteratis that are following you (or are being followed by you). Monitor the day-to-day activities of your clients and competitors and build proper digital business strategies around them. You can also schedule TweetDeck to share blogs and content on your Twitter account, which means you won’t have to retweet the content on your website every one or two hours like a robot. That’s usually how social media marketing works. Every business wants to know how they’re performing, what features they can improve upon and which aspect of their product is causing grievances to their customer. For this reason and more, most businesses develop surveys and request their customers to take them to collect as much data about their preferences as possible. Examples of huge companies that do this are Google, Microsoft and Yahoo. Ever get that slightly annoying pop up on your browser asking you to participate in a survey? This is exactly what Qualtrics Insight will help you do by bringing advanced online survey developing tools to your fingertips. 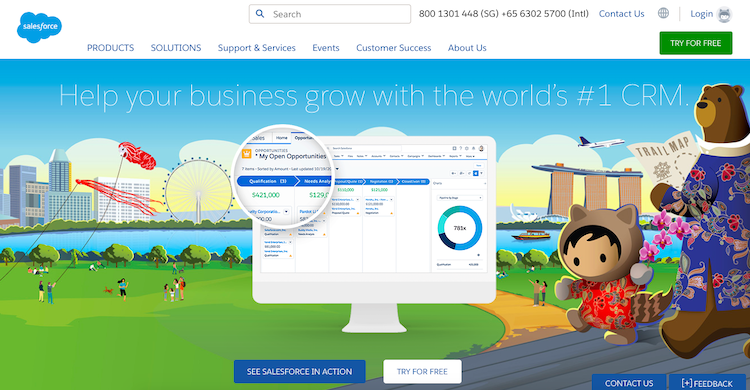 The premier customer relationship software, Salesforce brings the most efficient means of tracking your customer’s transactions to help your business stay relevant. You gain more knowledge of your sales team’s activities and allow for more seamless collaboration across all departments of your business. The days of storing your customer’s information on handwritten notes are long gone. Heck, even spreadsheets are getting phased out by Salesforce. Breadcrumbs greatly improve the way users navigate around a website which might be crawling with content and brimming with hyperlinks. They reduce the number of clicks that a user has to perform in order to reach certain desirable sections of the website. If your business is growing at a lightning-fast pace, it is advisable to make the customer’s journey less cumbersome by placing in breadcrumbs at strategic locations of your website. If you’re on WordPress, you can download Breadcrumb NavXT to generate locational breadcrumb trails for your website. Search Engine Optimization is THE buzzword when it comes to improving a website’s overall ranking. Proper SEO software will break down your customer’s data into proper segments which can allow you to develop proper strategies around that data. A sound marketing plan is only built on customer data analytics. Google Analytics and Kissmetrics can get the job done in most cases, going hand-in-hand to help your business crawl up search engine rankings, one keyword at a time. Whether you’re a billion dollar company with a million different customers to your name or a small firm still in its cradle catering to only a handful of people, you need a proper digital marketing strategy in place to lure customers and ensure that they stay on your website for longer than a few brief seconds. Businesses that fail to properly divide their customer base into proper segments fail in the long run. For instance, a toy will attract little kids while an electronic gadget will lure in older teenagers. 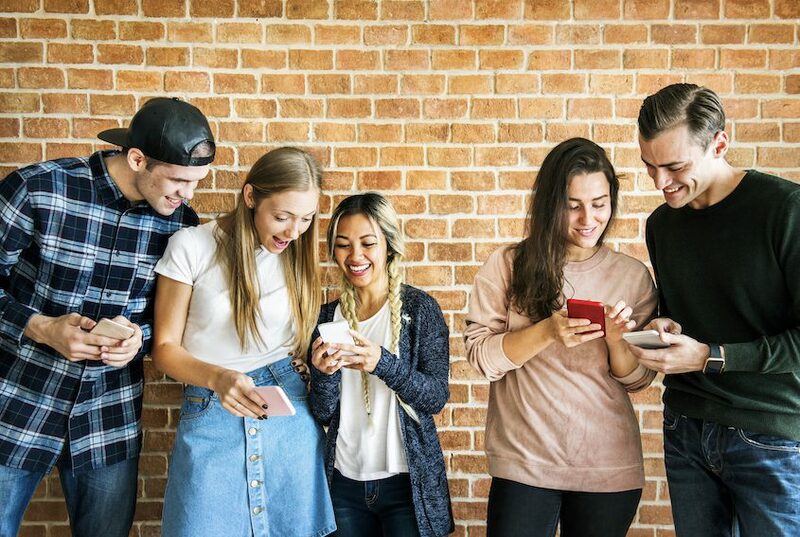 If your company focuses only on marketing to the little ones, the teenagers and any adults will simply migrate over to your immediate competition. Your business suffers the loss of an important demographic simply because it failed to segment its customer base into identifiable groups each of which has unique requirements. One size doesn’t fit all. Learn to reach your most profitable customers first. Learn what Conversational Technology is. Sign up for a FREE demo today! You will need proper advertisement campaigns focusing on both kinds of customers. It doesn’t really matter if your business does indeed sell to both of them. For instance, if you only advertise to little kids, you can’t expect teenagers to know of the brand new gaming console you’re selling by magically landing on your website. You can’t expect the kids’ parents to give your toys any importance either. You need to achieve a balance. The entire world is using social media in one form or another. Whether it is the hulking social media giant that is Facebook or the front page of the internet, also known as Reddit, social media is a powerful tool, the effective use of which can propel your business to unprecedented levels of success. With television and newspapers, you only have a limited reach. Advertising on them will expose your business to a few thousand prospective customers who won’t even bother to read your ad. But advertising on Facebook has the ability to reach more than a billion users. 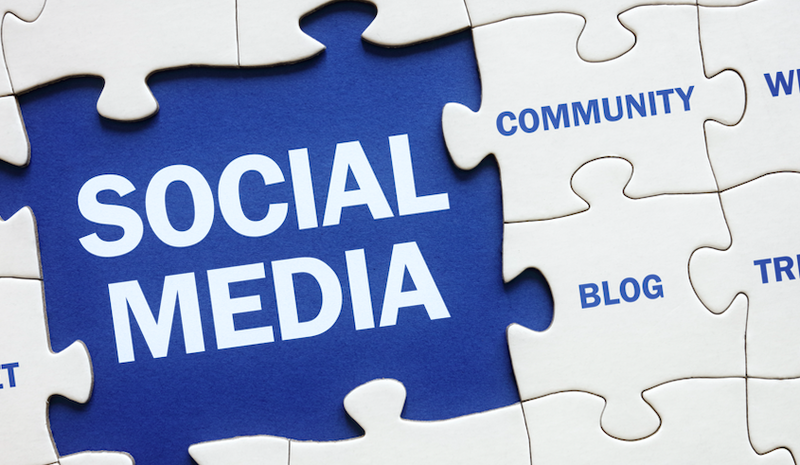 Devise a proper social media strategy now! KPIs are hands down the most effective means for you to gain insights into your customer base. Every website has access to this analytic, but most managers don’t place much importance to them and conduct their business like a headless chicken – no strategy, directionless and all over the place. Effectively tapping into KPIs will help you measure your sales growth and the working capital in your firm. Customers are able to generate tons of useful data, all of which has been derived straight from your business. You should learn to surround yourself with these beautiful numbers which can help your business change for the better. It is equally important to not let big numbers delude you into thinking that your business will necessarily succeed. Sometimes numbers serve to merely comfort us without really providing useful insight. Each business has its own set of useful KPIs, identifying the useful ones from the relatively useless ones requires time and patience on your end. Creating relevant content for your business is the most effective way of promoting your business by increasing your online ranking and encouraging more conversions. In fact, 72% of marketers believe that content was their most effective SEO tactic! You need a select choice of wording for your ad campaigns. These words aren’t just selected based on your whims and desires, but by gaining insights into your customer base through the use of KPIs. The internet, as we know it, thrives on content creation. Websites such as YouTube and Vimeo won’t really exist if the content on them was lackluster. There are professional content creators available to do the job for your business if you don’t have the time or skills to do the heavy lifting. The more often you publish good content, the higher would be your website’s ranking, which means the likelihood of people clicking on it increases. It’s a vicious (but good vicious) circle that drives up sales exponentially and doesn’t keep your business in the lurch for too long. An attractive website is a difference between successful conversions and failed ones. A boring colour palette and cluttered designs that resemble the early era of the Internet will put off even the most adamant of customers from using your business. There are literally millions of beautiful, free website templates to choose from which means you really don’t have an excuse to support your business with a dull looking website. Statistically speaking, 38% of people leave your website altogether if they find it too dull! While the concept of automation has been around since the beginning of the industrial age, its presence in today’s economy seems to be growing at record speeds. New technologies, combined with a better understanding of how they work, have allowed business of all types to grow in ways previously thought impossible. One of the more recent developments in automation is its application in marketing. The emergence of Big Data, and the expansion of internet and smartphone use, means marketers now have their hands on a tremendous amount of information they can use to more effectively reach their target market. However, as with any technological advance, just using it doesn’t automatically translate into results. You have to have the right strategy. Marketing automation is all the rage right now, and here are five strategies to make it work for you. One of the most frequent debates that goes on between sales and marketing departments is what constitutes a quality lead. 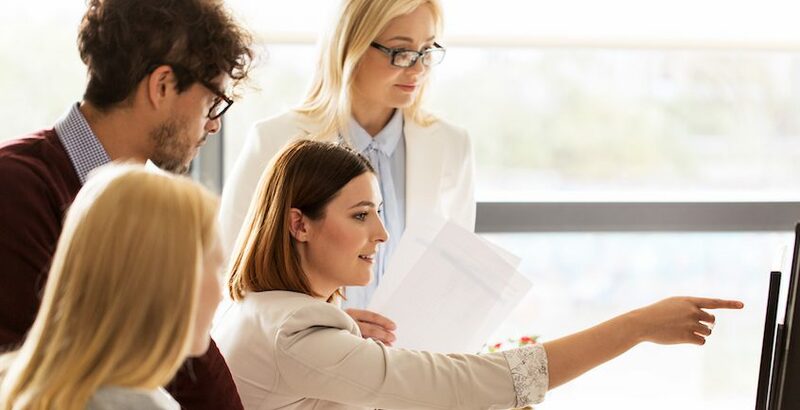 Differing opinions not only slow down the process, but they also can lead a salesperson to go after a lead that doesn’t really have much promise. One of the best marketing automation strategies you can pursue is one of lead identification. It uses data to help eliminate the guesswork ,giving sales team better leads to pursue. The first step in this strategy is to automate data collection, as this will allow you to figure out exactly who is coming to your site. But more importantly, it will give you a chance to learn who is engaging with the content you produce. You can track clicks, time on page, downloads, etc. (using tools such as Google Analytics and UI parameters) and this will help you figure out which part of your target audience is responding most to your tactics. Another great way to identify leads using automation is through subscriptions. Work with your web developer to have a subscription box pop up after people have spent a certain amount of time on the site. Signing up demonstrate affinity, meaning sales tactics will likely be more effective won these individuals. Implement these simple automation and use them to help make your sales efforts far more effective. The second strategy to pursue is lead nurturing. 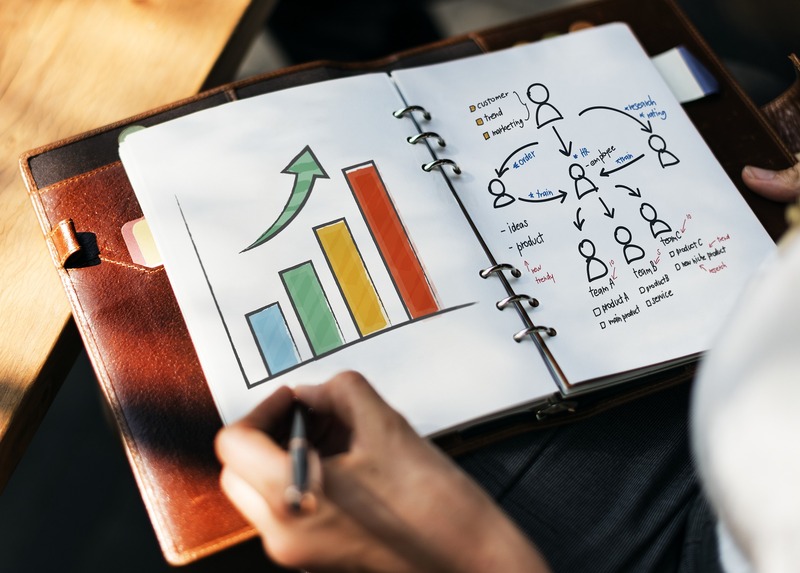 It’s one thing to identify good leads, but you need to manage them properly to be able to turn them into sales; even the best leads don’t all convert into sales. The secret to this strategy is drip emails. These are emails that go out gradually (as if they were dripping) to confirmed leads. And they’re really easy to automate. You start by writing out the content of the emails, and then you set your system up to send different emails at different intervals. You could manage this manually, but you’d likely go insane trying to keep track of everything. By setting it up to work automatically, you can sit back and let the emails do the work for you. And there’s quite a bit of evidence to suggest these types of campaigns work. In fact, one study found that every $1 invested in an email campaigns produces a return of $38. It’s tough to beat those kinds of results, and they’re really only attainable with an automated lead nurturing campaign. There are a variety of different software options out there that can help you nurture leads, the most common and effective being Drip, ConvertKit, Vero and Mailchimp. Building and maintaining a brand is one of the key functions of a marketing department. And it requires a multifaceted approach across many different platforms. But it’s hard to beat the effectiveness of social media in building a brand. People use these platforms to stay in touch with those they care about, so being in on these conversations can only help your brand. Actually doing this, though, can be a nightmare. Between all the different platforms, there’s far too much for any one person to do. The answer: automate. Platforms such as Hootsuite allow you to set up your social media posts in advance, meaning you can front load all the work and then only respond when needed. The software will alert you when someone has commented on a post or reached out to, and then you can respond directly to that comment, saving you from having to comb through all the content on your various accounts. Furthermore, these services will help track engagement. They’ll bundle information about likes retweets, shares, etc., and this will let you know what’s working well and what’s not, allowing you to refine your campaigns and increase their effectiveness in helping you build your brand. 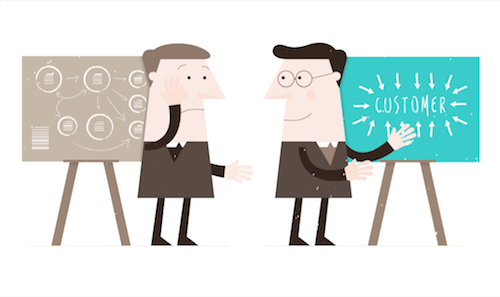 To stay competitive in today’s market, you must deliver top-notch customer service. While traditionally thought of as separate from marketing, nowadays both functions are closely connected. This bond has formed largely because of the information you can gather from your customer service efforts, and also because you can use customer service as another means of dealing with people. The primary tool for automating customer service is a chatbot. These are a wonderful way to break the ice with people and make your site, company and brand seem more human. Offering to help people find something, or pointing them in the right direction when they land on you site, can go a long way towards helping to improve the customer experience and promote sales. But chatbots can go one step further. Because they’re automated, they can collect and compile data that will help you understand your audience even more. They can identify frequent issues, and they can also help you learn more about what people come searching for when they land on your site. And all this means you can tailor your content to better meet the needs of your audience, increasing the chances you’ll connect with them and convert them into customers. Successful marketing campaigns speak directly to your target audience. They start by identifying the needs and expectations of a certain group, and they end by connecting with these people and convincing them to take an action, such as making a purchase or signing up for your newsletter. And the secret to doing this is to segment your audiences and deliver content that is directly relevant to them. For example, let’s say you’re a B2B business offering employment services or management consulting. Your goal as a company is to help people streamline their HR operations. As such, your audience is going to be people working in HR, as well as divisional managers responsible for making decisions about the business, as these are the people who will ultimately decide whether or not to hire you. And although these two groups are part of the same audience, the content you send to them must be different for it to be effective. The secret to this is using an automated CRM software. It will help compile information about your many different audience segments, allowing you to create a distribute content tailored specifically for each group. For example, HR generalists may receive information about how to streamline the on-boarding process, whereas HR managers will receive content about how a (PEO) can save the company time, money and resources. It makes sense this kind of segmentation would work, and studies help back up this logic, indicating a 62 percent improvement in email campaign effectiveness with this type of tailored content. Automating marketing tasks presents an incredible opportunity to improve the efficiency and effectiveness of your marketing operation. However, for it to work, you need to have a good strategy. The five discussed here are some of the most effective known to date, so give them a try and watch as your marketing efforts produce better leads and drive higher sales figures now and into the future. Jock works with investors and business owners to help people maximize the value of their business. Professionally, he is an expert in high-growth internet companies, having bought, built and sold three different businesses throughout his career. He is currently the CEO of Digitalexits.com. Ever wanted to get into the minds of your customers and figure out how they think? Ever wanted to know the best methods to convince someone to do something? Goldstein, Cialdini, and Griskevicius (2008) conducted a study on Using Social Norms to Motivate Environmental Conservation in Hotels. 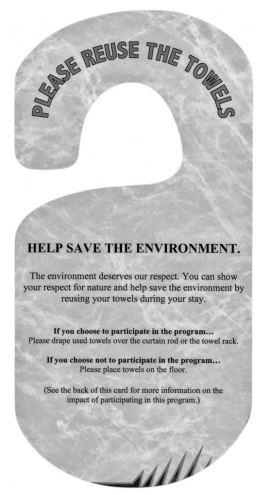 In particular, they tried to determine what kind of messaging would get hotel guests to reuse their towels. As you can see, the more the hotel related to its guests, the more effective its messaging was. In another study by Burger, Messian, et al (2004), participants were asked whether they would help someone else with his/her essay. In one situation, they were told whether they had the same birthday as the essay writer. In another situation, they were told that they shared fingerprint similarities with the essay writer and whether their fingerprint similarities were common or very rare. Again, participants were more willing to help the essay writer if he/she seemed to be more similar to them. This phenomenon where people tend to view others who are similar to them more favorably is called in-group favoritism. All in all, the best way to motivate your customers to do something is to say that customers in their situation have done so. Try to find common ground and draw similarities among your customers as well as between your company and your customers. This is commonly known as the foot-in-the-door technique. Freedman and Fraser (1966) knocked on doors asking if residents could do something small, such as sign a petition or put a sticker on their windows. For their control group, they skipped some houses and didn’t speak to them at all. Some time later, Freedman and Fraser went to the exact same houses with a larger request, such as putting a large sign on their lawn, which was either related to the same issue as the previous request or related to a different issue. They found that people whom they had already approached were much more willing to agree to their large request, nearly 3 times more willing if the request pertained to a different issue and more than 4 times more willing if the request pertained to the same issue! Starting small and then gradually scaling up your requests is one way to convince your customers to do something. We see examples of this everywhere. First, a non-profit organization simply asks for your email address. Next, they keep you updated regarding their events and progress. Before you know it, they’re asking you to donate. The opposite of the foot-in-the-door technique is the door-in-the-face technique, where instead of starting small, you start big. You make a large request from the get-go, maybe something ridiculous that the customer unsurprisingly turns down. Then, you make a smaller request. In this case, the customer is more likely to agree to your smaller request since it’s much less ridiculous than the large request you started off with. You know those stamp cards that some restaurants and coffee shops give you that allow you to get a free drink on the 10th time you come? Actually, although those cards can be effective, they’re not the most effective way of incentivizing customers to come back. Instead of having a fixed ratio reinforcement schedule, where customers get rewarded every 10th time they come, you should have variable reinforcement, where customers get rewarded randomly. 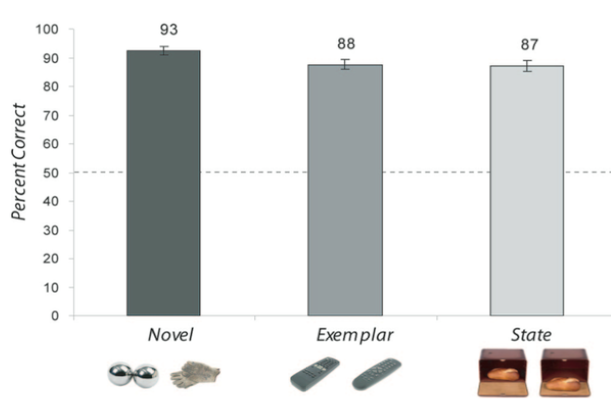 2) rewarding randomly (variable reinforcement). He found that the second option was more long-lasting and required less reinforcement (less food)! Although humans and animals are very different, we are also very similar. Imagine if a restaurant didn’t tell us when they’re going to give us a free drink. We’d probably be going back as much as we could to maximize our chances of getting that free drink! Cereal brands and Willy Wonka’s chocolate factory take advantage of variable reinforcement by putting golden tickets in some of their cereal boxes or candy bars, spurring us to want to buy more for a shot to win! 4. Frame your sales pitches in an appealing way. Consider two different situations below. 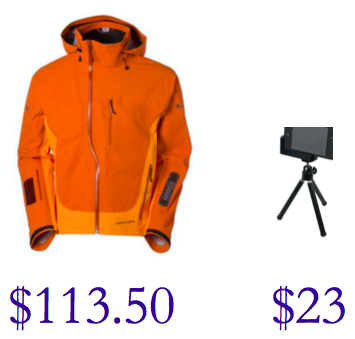 The original price of the jacket is $125; $23 for the tripod. Which one would you be more willing to buy if you had to drive 20 minutes to the store? 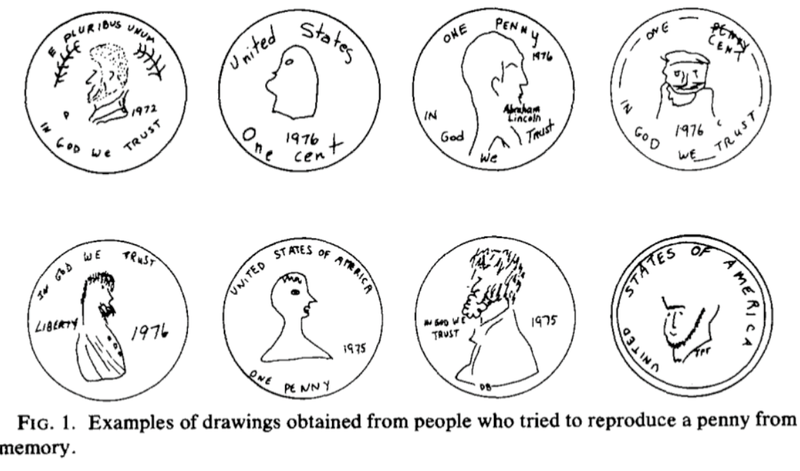 This adapted example is based on Kahneman and Tversky’s (1984) study. They found that 68% of respondents were willing to buy the tripod whereas only 29% were willing to buy the jacket. You might’ve realized that in both cases, consumers are saving the same amount: $11.50! The point is that consumers think about gains and losses in relative terms, not absolute terms. In other words, they think in percentages, not dollars. 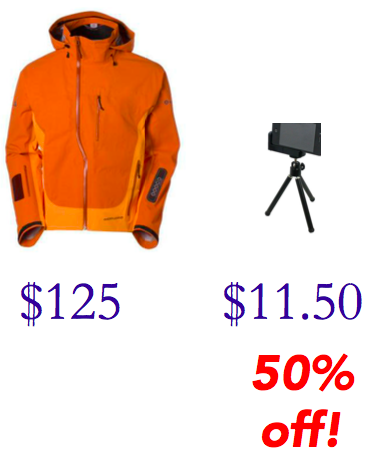 A discount of $11.50 for the tripod is a larger percentage than a discount of $11.50 for the jacket. When coming up with your sales pitches and marketing messages, be sure to take this into account! Think of more appealing ways of framing your messages – even if your messages are describing the same thing! Sight comes first because it’s probably the most important and effective sense for us humans. 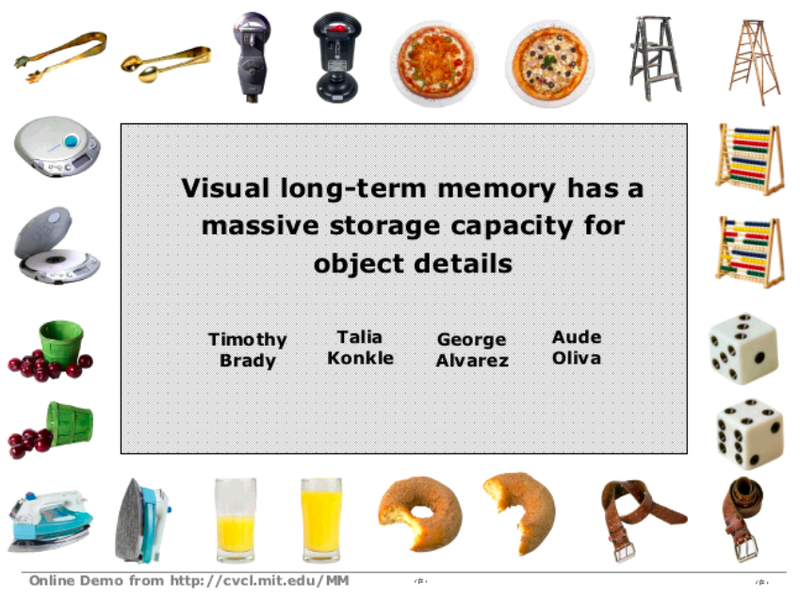 Brady, Konkle, Alvarez, and Oliva (2008) conducted an experiment where they flashed images of objects to participants. The images below are examples of ones that they flashed. After flashing a certain number of images, the researchers then presented 2 similar images to participants. One image was an actual image that was flashed but the other was one that looked similar to the actual image that was flashed. They then asked participants, of the two images below, which was the one that you actually saw? They found that participants were shockingly accurate at identifying the images that were actually flashed and were not fooled by images that were incredibly similar. In other words, they remembered the visual details of the images that were flashed and could distinguish subtle differences between the images that were flashed and the images that looked similar but were not actually flashed. In fact, for 2,500 images that were flashed, the accuracy was around a whopping 90%! Participants’ responses were also very accurate when considering the number of items that appeared between the actual item and its match. What does this mean for your marketing? USE VISUALS! A lot of them! Make all of your marketing material (ads, brochures, flyers, websites, emails, blog posts, social media, etc.) visually appealing and colorful. Don’t just overwhelm your audience with tons of text! Include images, videos, and other multimedia to spice things up whenever possible. Ever walk into a busy shopping mall and immediately recognize the strong, signature cologne of Abercrombie & Fitch? That’s a successful marketing technique right there! We can smell an A&F from miles away before seeing it, and we then simply follow our nose the rest of the way. Why is smell such an effective sense to appeal to? One hypothesis is related to anatomy: Signals from smell go from the olfactory bulb directly to the hippocampus and to the amygdala whereas signals from other senses take less direct routes. Another hypothesis is related to evolution: We as humans needed our sense of smell back in the day to hunt for food and survive. The last hypothesis is related to dilution: Try to imagine a smell. It’s harder than imagining a picture or sound, right? Because smells are harder to rehearse, researchers propose that this makes them stay stuck in the context in which you sensed them. I bet you sang those jingles in your head just now. The crazy thing is, the Luna jingle is at least 10 years old. How can we still remember it now? All thanks to great marketing! On top of that, the famous experiment with Pavlov’s dogs highlighted the phenomenon of classical conditioning. Pavlov rang a bell, served his dog with meat, measured the amount of salivation, and repeated this. After several trials, he found that even if he rang a bell and didn’t serve his dog with meat, his dog would still salivate. His dog had created a learned association betweeen the bell ringing and being served meat. We, as humans, can be classically conditioned too. If you, as a marketer, can create a jingle that gets stuck in everyone’s heads for very long and creates a learned association between the jingle and your brand, then you’re golden. Think about the McDonald’s jingle! Time for a quiz! 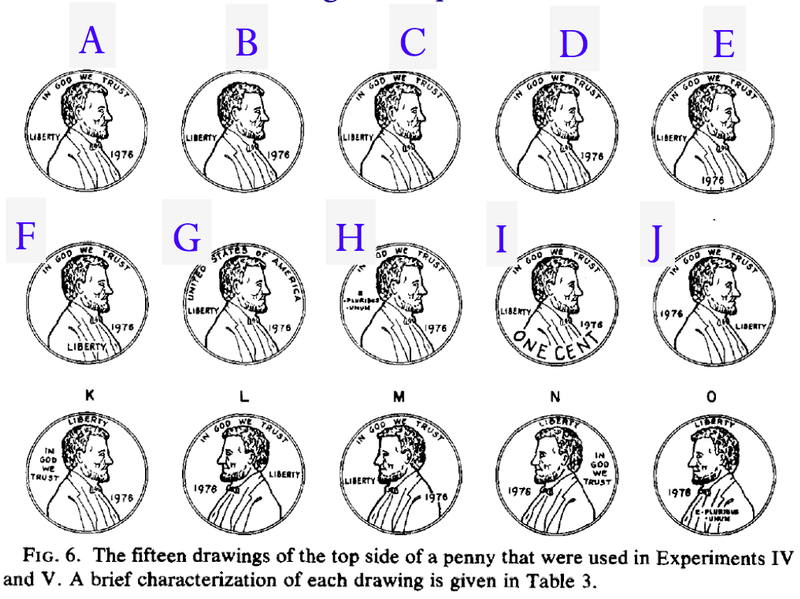 Which image below is the correct one for the penny? Why is this quiz harder than expected? If you’re an American, you see tons of pennies regularly. Did our elementary school education go to waste? Not to worry! 1) As you can see below, there are many people on the same boat. 2) This psychology study shows that it’s not the number of pennies we see that matters, but the amount of attention we devote. In another study, Castel, Vendetti, and Holyoak (2012) surveyed employees in a building. Although the average time that the employees had worked in the building was 4.5 years, only 1 in 4 people knew where the nearest fire extinguisher was. Not devoting attention to these sorts of things could be very dangerous! What does this mean for your marketing? Make sure to capture and direct your audience’s attention. If you’re writing a blog and want your audience to pay attention to an important call to action, image, video, or link, be sure to call your audience’s attention to that, maybe by mentioning it explicitly in your writing or by making it stand out on the screen. Also, don’t clutter your webpages! I think we’ve all been victim to webpages with lots of ads and content, which can be incredibly overwhelming and make it difficult to find what exactly to focus on. In these scenarios, if I’m reading an article, for example, I find myself scrolling past and ignoring anything other than the text. But sometimes, I find out that there was an image or table I missed that was actually relevant to the article. You don’t want this to happen with the amazing content you’ve created! Especially in this age with information overload which has resulted in short attention spans, strive to engage your audience and capture their undivided attention. Appealing to the senses works here as well! Have you ever “borrowed” something from work or school without asking? Bateson, Nettle, and Roberts (2006) investigated how to prevent this from happening. They set up an “honesty box” in a coffee room at a university for people to pay for their coffee and put up either a control image (for example, a picture of flowers) or a photo of eyes. It turned out that when eyes were displayed, coffee enthusiasts paid THREE TIMES as much! This shows the importance of the creepy feeling of being watched and how we care so much about our reputations. How should you use eye contact in marketing without creeping out your customers? 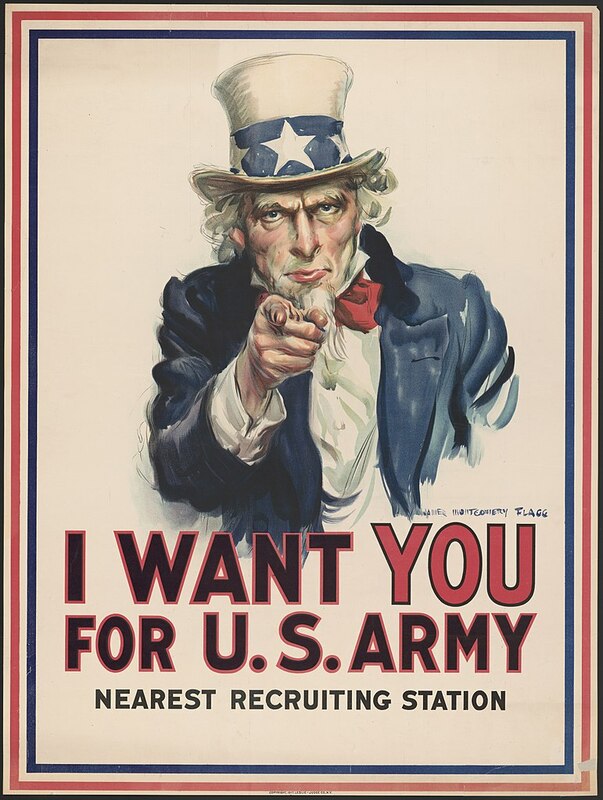 Uncle Sam can be seen putting this into practice. If you’re pitching to a customer or investor, be sure to make eye contact with them. Try to incorporate eye contact into your ads and marketing material. 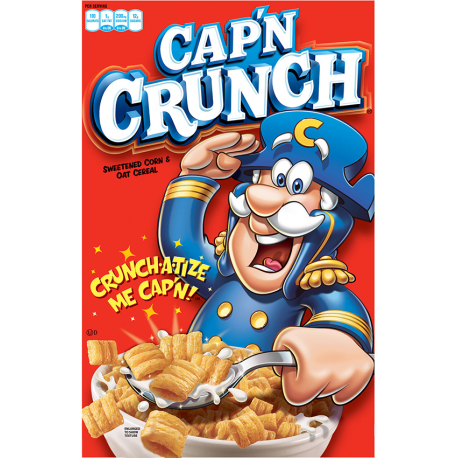 Ever wonder why the Trix bunny and the Cap’n Crunch captain are looking down? To make eye contact with the kids who want the cereal! What’s so powerful about the number 7? Well, it’s the number of chunks of information that you can hold in your short-term memory. What’s a chunk of information? Consider the phone number 877-241-LUNA from above. Luna was clever to chunk the last 4 digits of their phone number. So instead of remembering the last 4 digits as 4 separate chunks of information, you only need to remember LUNA as 1 chunk of information. Kars4Kids does an even better job of chunking their phone number into an easy-to-remember, catchy phrase. This technique doesn’t just apply to phone numbers; it can apply to product specifications, websites, prices, and more! Chabris (1999) further showed that chess players use chunking to remember the setup of the board. They were better at remembering a setup that could occur during a game (taking the rules of chess into account) compared to a random setup (not taking the rules of chess into account). Using acronyms or mnemonics and creating structure and constraints that limit the options are effective ways to help people remember things. Remembering an acronym is essentially chunking all those pieces of information into a single chunk! In marketing, you’re going to have to be as memorable as you can to your customers. Make sure you don’t overwhelm them with too much information that they won’t remember. Keep the power of 7 in mind. Consider this question: Is the proportion of African nations that are in the UN greater than 15%? What is the actual proportion? My psychology professor, Professor Daniel Swingley, asked his class this question and aggregated the results into the bar chart below. Notice anything unusual about this chart? 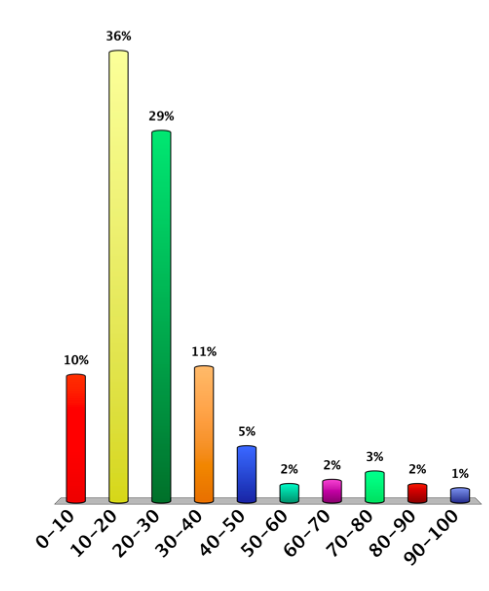 Nearly all the responses are clustered around 15%, with the range “10-20” having the highest percentage. This quick example question was modeled off of a study conducted by Englich, Mussweiler, and Strack (2006) called Playing dice with criminal sentences: the influence of irrelevant anchors on experts’ judicial decision making. German judges and lawyers rolled two dice and decided whether the sentence for a shoplifter would be higher or lower than the sum of the numbers on the two dice. Below are the results. These results are shocking because the decisions made by the German judges and lawyers were influenced by something as arbitrary as a dice roll. The higher the dice roll, the higher the average sentence decided on by the judges and lawyers. Why does this happen? Well, when there’s a lot of uncertainty or not enough time to make a decision, we tend to succumb to unusual and shocking influences. Anchoring adjustment occurs when we start with a random number and adjust it a little based on what we know. Think about the question about the UN above. Unless you have a lot of experience with the UN and/or know a lot about it, you probably wouldn’t have any idea about the proportion of African countries in the UN. You scramble for a reference point or anchor to go off of, and if this is provided in the question, you immediately seize it and base/pivot your thinking off of that. In psychology, this phenomenon, “activating particular representations or associations in memory just before carrying out an action or task,” is called priming, which is one way to explain anchoring. The effort of adjustment also explains the small adjustments around the anchor. But how is this related to marketing? As shocking as this is in terms of the ethics of deciding on a criminal sentence, you can still use this in an ethical way to maximize your revenues. Let’s pretend that you’re on the phone with a potential customer. Let’s also say that this customer might not be very knowledgeable of a suitable price range for your product. Maybe he/she doesn’t know much about the pricing of competing products or the prospective value of your product. With an email, your customer would have time to do some research and think through the pricing more, but when he/she is on the phone in the hot seat, time is constrained, and he/she needs to think and respond quickly on the spot. This would be an ideal situation for you to use anchoring. What’s the best thing for you to do here? Maybe start off by suggesting a relatively high price (but not absurdly high) that sets an anchor for your customer to base off of. With little prior knowledge, he/she would use this as his/her single data point. Further thinking and discussion will likely be clustered around this reference point. This overlaps with the door-in-the-face technique mentioned above, where you start high and then potentially negotiate a bit lower later on. A word of caution: Be very careful in gauging whether or not your customer is knowledgeable about the field. You don’t want to risk angering a knowledgeable customer by assuming he/she wasn’t knowledgeable and offering a price that he/she knows is too high compared to competing products. Some knowledgeable customers might take it well, but others might not. Ultimately, starting with a relatively high price is merely a suggestion. Anchoring is backed up with empirical evidence, and you can feel free to keep it in mind and use your judgment to decide how best to adapt and apply it to your specific situations. But if you want someone to remember something longer, Craik and Tulving (1975) showed that you need to get them to work and put in more effort. In other words, the depth of processing is key. Craik and Tulving showed subjects a list of words and asked them to do a task for each word. Then, they asked subjects to recall as many words as they could. The results are shown below. As you can see, the more work the subjects had to put into their thinking (the greater their depth of processing), the more words they remembered. Probably the latter! That said, think about how to incorporate similar quizzes and activities into your marketing campaigns. If you work for a laptop company, maybe you could create a quiz, “Which Laptop Are You?” In fact, if you’re at any company that sells a range of products, you can create a quiz that determines “Which _____ Are You?” to help customers with their buying decisions. Another way to apply this psychology study is to ask your audience rhetorical questions. Why are rhetorical questions so effective in ads, presentations, and more? Because they get your audience actively thinking rather than passively observing. It increases the depth of processing. 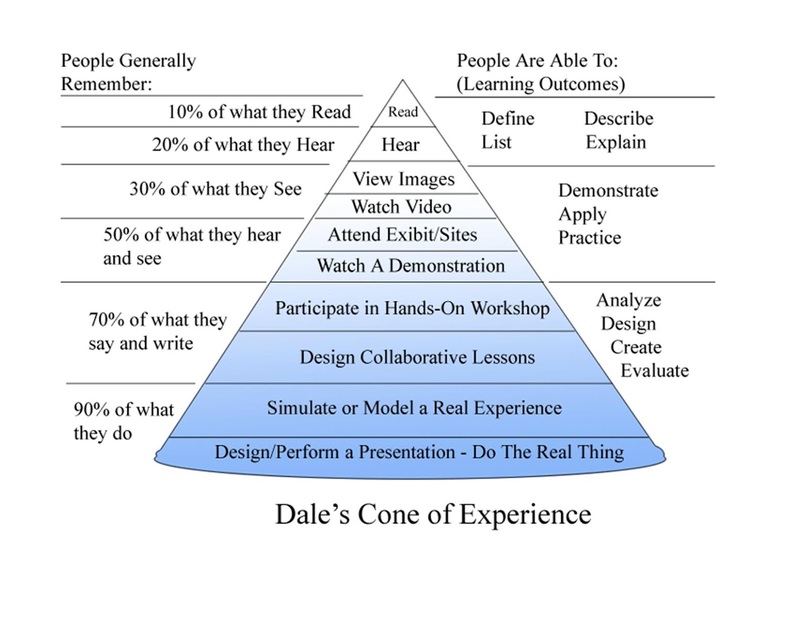 Dale’s Cone of Experience summarizes this idea nicely in a visual. The moral of the story is that making something more engaging and hands-on is more effective in getting someone to remember it. Remember: There’s always a way to make something more interactive. Strive to effectively engage your audience. Consider the two networks of friends below. Notice anything for the smoking groups? Christakis and Fowler (2008) found that smokers tend to be friends with smokers and nonsmokers tend to be friends with nonsmokers. 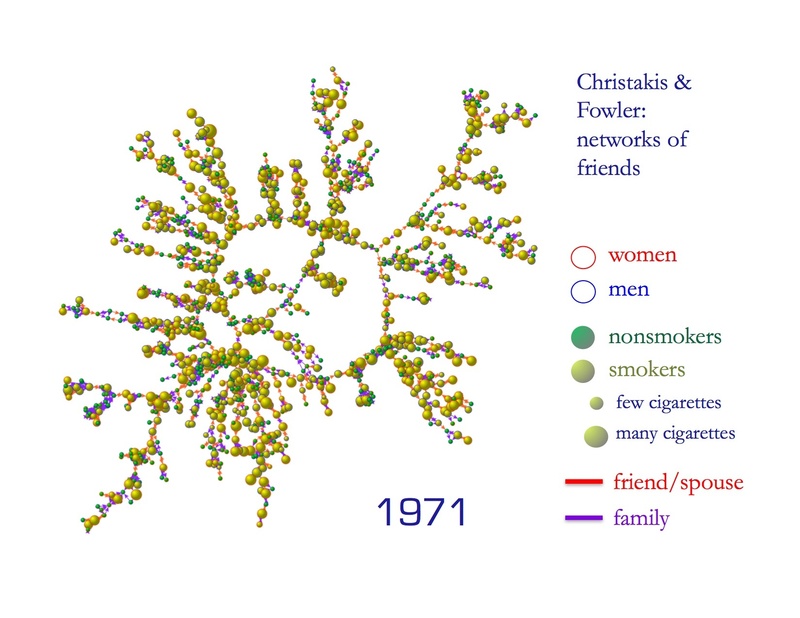 Smoking dropped by around 50% from 1971 to 2000, but these social groups didn’t change in size. Groups of smokers shrank in number, not size. What does this mean? This means that smokers quit smoking in social groups. 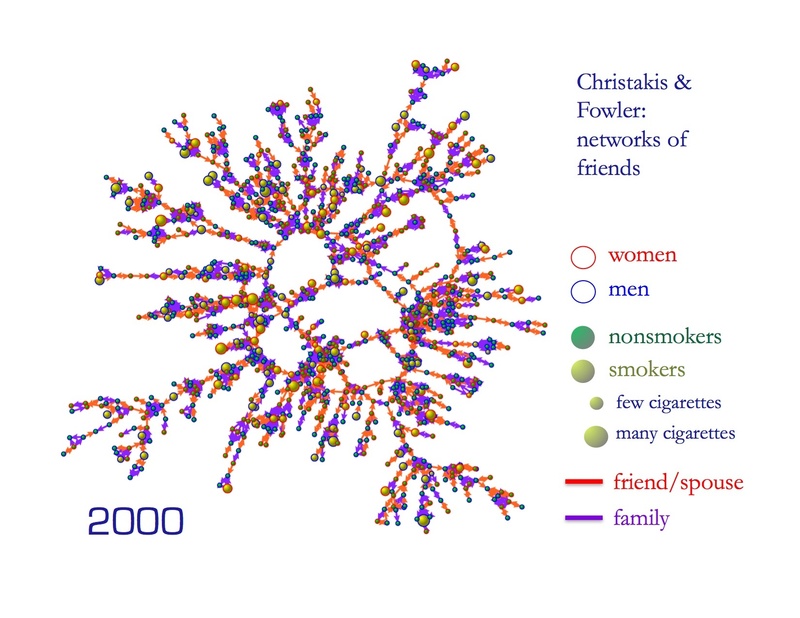 Christakis and Fowler also found that smokers moved more toward the social peripheral and became less likely to be a “hub” of a social group. For mutual friends, one friend quitting makes the other 43% likely to quit as well. In terms of marketing, why do you think so many marketing campaigns are founded on “Invite your friends”? The truth is that your friends have a lot of influence on you. Think about all those times you tried something new just because your friends did it and encouraged you to do it too! Harness the power of social groups in your marketing, and you can drive the next trend. Think back to your favorite band 5 years ago. What is the maximum amount you’d pay to see them now? Now think about your current favorite band. What is the maximum amount you’d pay to see them in 5 years? You could potentially take advantage of this by asking your customers to pay in advance for what they want, before they have time to change their preferences! Now, time to put theory to practice and apply psychology to YOUR marketing! Is Your Business Implementing VR? The Virtual Reality market has been steadily growing and is expected to grow to an industry of $US 2.16 trillion by 2035 and plenty of organisations are taking advantage of the boom, for instance, Facebook bought Oculus for this very reason. There are also endless opportunities in this sector and the organisations that move quickly would have the advantage. Computer simulation has become an important part of the gaming industry and Telsyte estimated that by 2020 2.5 million households would own a VR unit. But its uses are far advanced to be just utilised in gaming. Virtual Reality has and can be used for education and training as well. And it is slowly taking over the business world as well. With a plethora of benefits associated with implementing the technology in your business, make sure you don’t miss out on any one of them. How do you do that? By asking yourself if your business is implementing VR. Since Virtual Reality is one of the top trends in 2017, your business is going to benefit once you implement this technology. 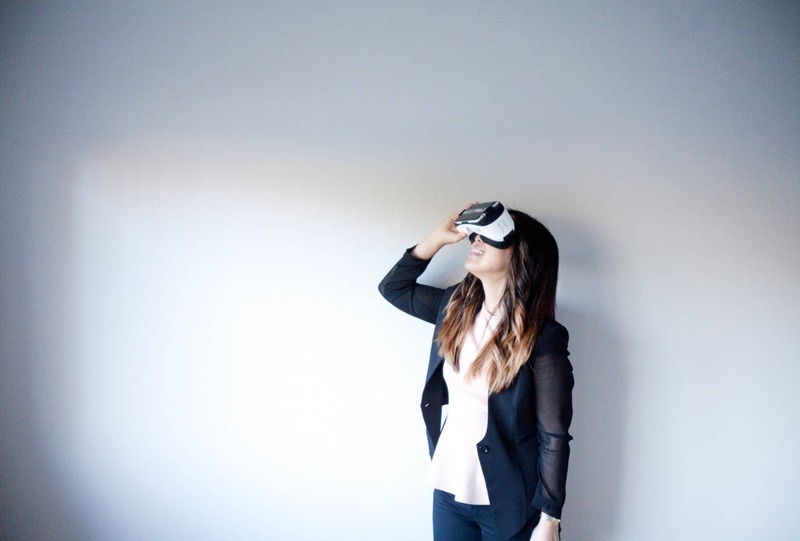 Whichever business enterprise you run, Virtual Reality can help you take it to the next level. And it’s not even that expensive! To help make up your mind, here are some of the ways in which implementing VR will aid your business. Capturing and dispersing knowledge has become easier with Virtual Reality. The immersive way of distributing knowledge makes sure that all your employees remain up-to-date with the technicalities involved. In the real estate industry, most businesses were early to catch up on the trend. They started with 360-degree virtual walkthroughs and made marketing properties easier. Even the construction industry has now caught up to the trend. Whenever a client demands some changes in the design, they can easily see the final look through VR. See KFC’s employee training below! This immersive media also makes for a great marketing tool. Since most families are still new to the Virtual Reality experience, it’ll be the perfect tool for attracting them to your business. Such activities provide businesses with an opportunity to raise brand awareness and customer engagement. Businesses like McDonalds, Samsung and Lowe’s have realised the efficacy of using VR as a marketing tool and they are making the best of this opportunity. See Jack Daniel’s marketing VR. Traditional print media has seen some setbacks since the internet has taken the market by storm. Although there are many people who still prefer the old way of reading the newspaper, there can be no denying that the new dimension of news and entertainment has gained immense popularity. Virtual Reality has also penetrated this industry. The New York Times caught on to it early and in November 2015, produced a VR film, The Displaced. The film was distributed to over a million Sunday home delivery subscribers, along with Google Cardboard glasses. They repeated this in May 2016. Through their efforts, they were able to make the genre feature a fresh perspective and to gain interest of the youngsters as well. Gone are the days when customers had to choose home improvement pieces without any idea of their compatibility with their home and space. Lowe’s store had been working on this problem and through Lowe’s Innovation Lab, they have developed some creative augmented, mixed and virtual reality tools.Now their customers can easily use the VR tools for designing, visualising DIY skills training and even navigation of Lowe’s store. By implementing these technologies, they have made sure that customers can easily visualise what their home improvement projects are going to look like, even before they get started. With this power in hand, customers are now more informed and can thus take better decisions. Gaining popularity wasn’t difficult for this technology, as people are more open to new experiences as they were before. Over time, the price of technology has also dropped and it keeps on dropping, which will make it easier for Virtual Reality products to gain access to households and businesses. So far, the production of Virtual Reality gear hasn’t achieved a sustainable level yet, which raises a question about the industry as well. Although China has already invested billions of dollars for VR hardware, in Australia, the production hasn’t seen any significant rise. 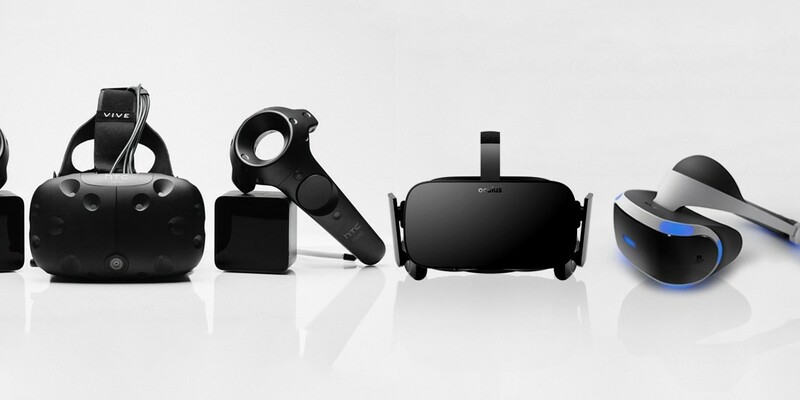 Over the years, prices for Virtual Reality solutions are expected to become even lower. This can amount to great opportunities for small businesses, which are not ready to invest yet. There are no doubts to the first mover advantage in Virtual Reality technology, but there are plenty of organisations who have put the idea on hold till the full arrival of VR. With a digital formation strategy though, businesses can demonstrate product attributes, help consumers make better choices, and can also raise brand awareness. https://www.woveon.com/wp-content/uploads/2018/05/WebLogoBlack@600px-300x89.png 0 0 David Dinh https://www.woveon.com/wp-content/uploads/2018/05/WebLogoBlack@600px-300x89.png David Dinh2018-06-23 02:48:392018-06-27 02:51:57Is Your Business Implementing VR? Making a digital transformation is not easy for any business, particularly one that has been established without much reliance on digital media. While it is possible to make the transformation happen, it requires a lot of hard work. It’s not going to happen overnight. On the other hand, digital transformations are much more than simply picking the best digital template and applying everything. You need to pay attention to a few aspects in order to ensure that your digital transformation is a success. Don’t let all that hard work go to waste. Learn how Conversational Technology works, request a FREE demo today. Before you kick start a digital transformation, make sure it is in line with the company’s goals, vision, mission and other aspects. It is very rare where a business requires a business transformation by opting for a completely clean slate. In fact, you’re going to come across plenty of templates that allow you to make use of digital transformation in accordance with your goals and vision. Keep in mind that just because you need to change doesn’t mean that you should abandon everything. A digital transformation should keep the good, minimize the bad and work out how to enhance the overall impact that your business makes. Once you’re able to do this, you’ll feel like your template is made from gold due to the value it adds to your business. A digital transformation should focus on enhancing the customer experience as well. A major component of any template, you can see examples of successful digital transformations everywhere around you. However, they didn’t get this success just by springing it on to their clients. It took months of hard work, testing, tweaking and more, to be able to ensure a successful transformation. For this reason, you need to ensure that you get your customers on board for your digital transformation too. 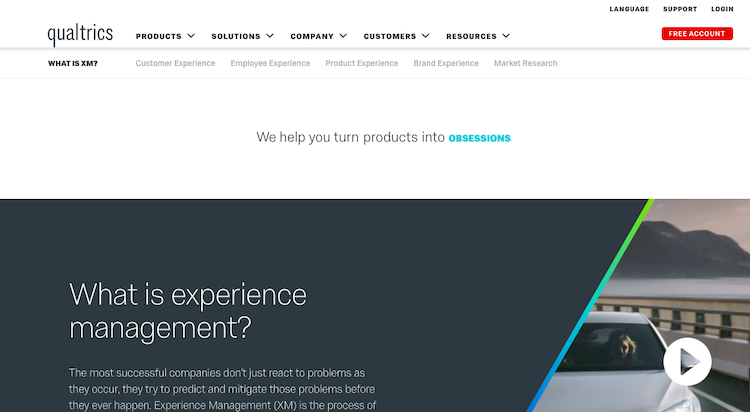 Amazon.com and Apple are huge examples of businesses that enhanced their user experience by not only embracing digital transformation but also educating their consumer regarding their product offerings. When you’re attempting a digital transformation, keep the skill level of your team in mind as well. If your team fails at embracing the change, it can be extremely problematic to ensure that your business will fare well. Often times, it can be detrimental towards productivity as well. For example: An office that largely uses Microsoft and Windows decides to go for a different platform such as Ubuntu that relies on other open source products that work like Microsoft Office on it. Unfortunately, the learning curve for Ubuntu is pretty steep and it might mean encountering plenty of problems which can cause a number of unproductive days before the staff and other employees get the hang of it. Yet, the payoff might not be large enough and it eventually will force the business to revert back to its old platform. There’s nothing wrong with that, it’s just exceedingly unproductive. When you’re opting for a digital transformation, your services will only be as good as the service provider. Whether you’re incorporating the cloud, or streamlining your products, you need to work with a good digital supplier that prevents down time and lagging. Both of these can be costly since consumers expect sites to load and function within seconds. Waiting for minutes, drives them away from your page or your offerings. By ensuring that the process is thoroughly streamlined, your digital supplier can boost your business in more ways than one. Moreover, they can also provide a number of different services such as security features, data storage and others that are especially suited to your business. Apart from relying on your digital supplier, you should also have a digital business leader who encourages the growth of your business. Digital leaders are people who’re going to be in the public eye and advocate your product. Traditional examples of digital leaders include Bill Gates, Mark Zuckerberg, Evan Spiegel and others like them. Steve Jobs was a particularly great digital leader, successfully marketing iPhones and iPods since they were introduced to the market. Despite becoming synonymous with the brand, Steve Jobs actually had very little to do with the invention of the iPhone which was produced by Apple and was a product of its creative team. Steve Jobs just had the brilliance to recognize and support the idea when it was presented to him. At the end of the day, these tips will help to make a huge impact on your own digital transformation. Keep in mind that these tips are not small ones. For many businesses, it has taken years to apply them properly. Nonetheless, the results you get with their help speak for themselves. Are You Ticking Off These Essentials in Your Marketing Strategy? 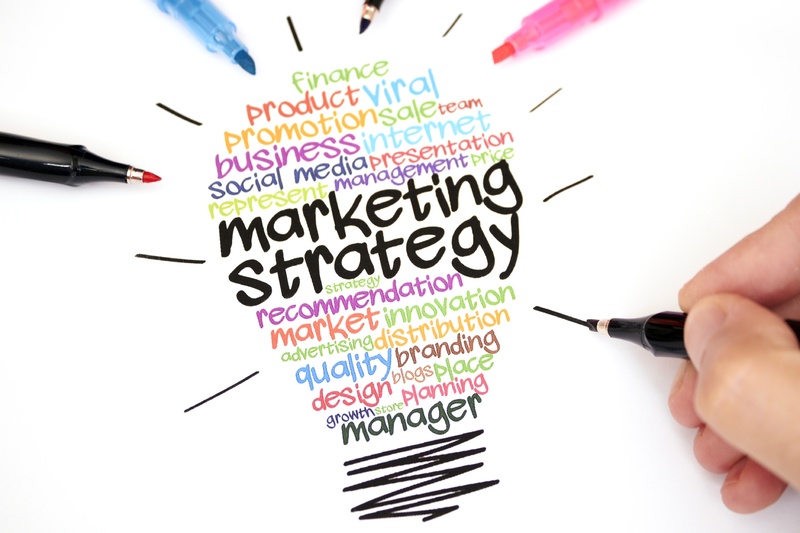 Is your company including the essential parts of a marketing strategy? Do you know what to include? Chances are you’re missing some important parts that could help boost your business. Your marketing strategy is your business’s plan to gain new customers and to keep in contact with existing customers. This is essential when growing your small business. Summarized below are the most important bits of information that your business should be adding and targeting. If you are looking for different marketing templates, check out 8 Marketing Plan Templates to Blow Your Competitors Out of the Water. Identifying your goals when embarking on your marketing strategy is the most important part of the marketing strategy. Your goals are what you want to accomplish by performing this plan. These goals should be things that you can realistically accomplish with the budget and time frame you are giving yourself. You can look at what your company needs and then tailor your strategy to better accomplish this. For example, if you are trying to target a younger demographic, try using a more digital advertising campaign over social media. 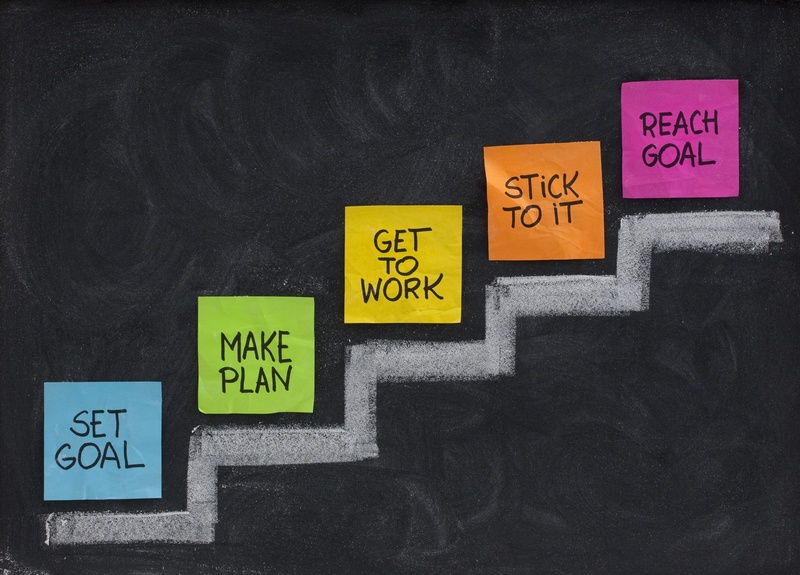 Your goals will evolve throughout the process, and that is just fine! It is important however, to strive toward the same area of growth or target the same people. This way, when you analyze your marketing strategy afterward, you can find out if it was successful or not. Related: 8 Marketing Plan Templates That Will Blow Your Competitors Out of the Water. In a world obsessed with technology and the Internet, content marketing and just producing content in general are becoming necessities. Your content should be over a wide range of topics to get as many people reading as possible. Your content should also be split up into the Viral, Discover, Consider, and Customer categories I have talked about in previous blogs. Content is what drives people to your site and is often overlooked when it comes to building your business and getting traffic to your website. Remember, content is essential when embarking on your marketing strategy! After producing this content, you will have to distribute it. 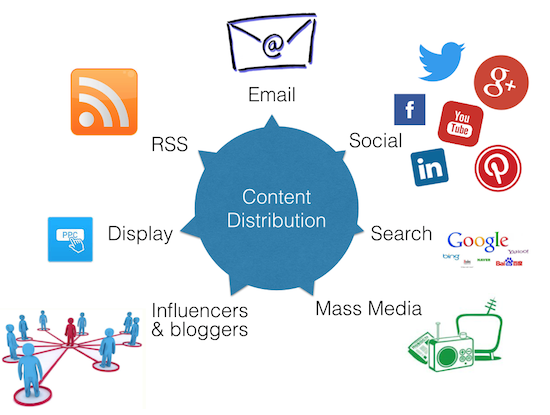 It is a good idea to distribute your content on multiple customer channels. At this point in your marketing strategy, you will have already figured out who you are mostly targeting. You can now look to different channels such as Facebook, Twitter, LinkedIn, email, and your company website. If you are targeting a younger crowd, maybe look towards Facebook. With such advancements in digital advertising, you can directly reach your target market when they search for topics related to your product or company. 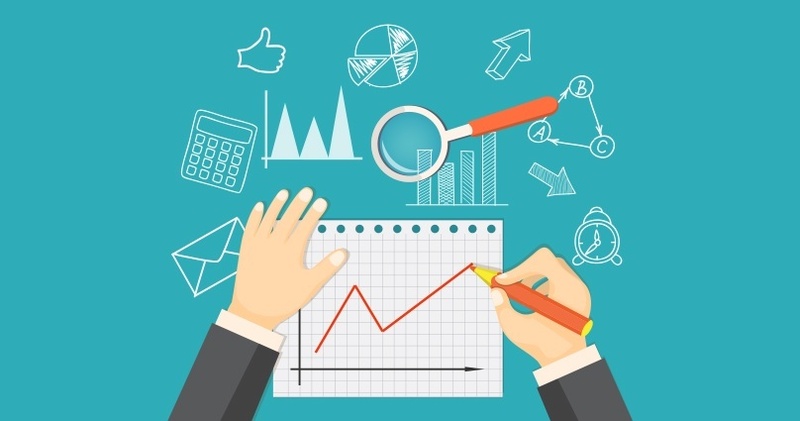 Throughout your marketing strategy you should be analyzing your progress. Google Analytics is a great tool you can use to understand all the incoming data. Google Analytics will provide you details such as average session duration, where the traffic is coming from the most, the demographics of the traffic, and even repeat customers vs. new customers. You can then take this data and see if you are on track to achieve your goal. It will also tell you if your target market is interacting with the content you have produced. Think of Nike, Apple, Google, BMW, or Lufthansa. These companies all have one thing in common: fantastic brand strength. They are the forerunners in the industries they compete in and have incredible customer loyalty. When a smaller company is trying to increase its brand strength, it is important to show consistency. This will prove to your customers what you stand for and over time will increase brand loyalty. It is also best to put your brand out as much as possible. Place your logo on all products, in your social media, and anywhere possible. This increases brand awareness and will, in turn, help promote your products. After exercising your marketing strategy, it is important to analyze your whole process. Start with your goals. Did they stay the same? Did you accomplish them? What data points are you measuring to define success? This should have been stated beforehand. Get your marketing team together and do a quick rundown to see what went well and what could be improved for next time. Your marketing strategy can be remade and remastered to better fit your future goals, but you always need the same basics to get started. https://www.woveon.com/wp-content/uploads/2018/06/MARKET2.jpg 268 400 David Dinh https://www.woveon.com/wp-content/uploads/2018/05/WebLogoBlack@600px-300x89.png David Dinh2018-06-21 23:54:322019-01-07 02:44:57Are You Ticking Off These Essentials in Your Marketing Strategy? One of the worst things from a marketing perspective with B2B campaigns is when you look at big companies that have great products or services, but are unable to capitalize due to poor marketing campaigns. The name of your brand and your reputation, will only get your business so far. If you want to strike while the iron is still hot, then you need to focus on switching up your online B2B campaign. Businesses no longer have the luxury of being oblivious to the latest strategies and tactics for B2B campaigns, because there is no shortage of accessible information online. However, there are many businesses that have marketing professionals who refuse to conform to the latest trends, and prefer to do things the old-fashioned way. Learn more efficient ways to help your B2B campaigns, request a FREE conversational software demo today! This is a foolish position to take because the strategies that initially brought them success are outdated, and the target audience has also changed and matured. By failing to adopt cutting edge digital strategies they are refusing to adapt and improve their online B2B campaigns. When put under the spotlight for lack of results, the common excuse used is poor execution by the teams. However, if any business wants to remain competitive, they need to adopt new marketing strategies. All businesses need to adapt to their environment, and that can only be done when you decide to switch up your online B2B campaigns. If you’re failing to engage your clients, you’re failing to reach your potential as a business, which is why it is important that you offer them with a comprehensive contact page. This is important for capturing leads and customer satisfaction. 51% of people will not do business with a company that doesn’t provide them with thorough contact information. You will lose more business if you’re not providing your clients with contact information, which is why it might be time to redesign your website and switch up your online B2B campaign. You may not have any problems in attracting traffic on to your website, but you also need to convert that traffic into sales. Lead capturing is important for a business, otherwise they won’t make any money, and to do that you need to include landing pages, forms, and call-to-action buttons on your website. You won’t be able to convert leads without them. Having lots of content on your B2B website is a good strategy, but you can easily overdo it as well. A cluttered website is going to be an eyesore, and visitors to your website will run away, which is why it is important to balance things out. You should know about the value of whitespace, since it helps visitors focus on the important things on your website. It helps to improve readability, and also helps lead capturing as well. Businesses must focus on their brand positioning as well, which means clearly outlining what the brand and the B2B website represent. The design scheme of your website needs to be in sync with your industry, and should include strong brand messaging. You should be clear about your goals as a business with your clients and customers, which will only help serve your B2B campaign. If you want your B2B campaign to be a success you will need to work on upgrading your website design. You need to frequently upload fresh content on your B2B blog, which is important for SEO, more visitors, driving organic traffic, and converting leads. If you don’t have any new content on your website, your website traffic will fall off a cliff. 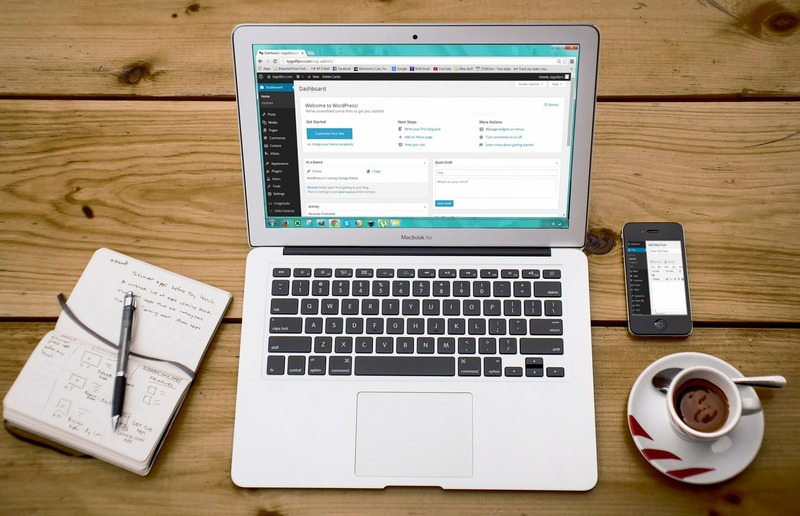 If you don’t have a blog on your website, you can add a ‘news section’, which will help provide visitors with helpful, informative, and relevant information. One of the main reasons to switch up your online B2B campaign is if you have a website that is slow and unresponsive. 71% of mobile users stop going to websites that take too long to load or crash frequently. The average web user only waits about 5 seconds for a website to load. If your website is slower than that, you are going to lose traffic and customers. So, make sure that your website is as fast and responsive as possible on desktop and mobile to keep visitors happy and conversion rates soaring. Websites that are inaccessible or haven’t been updated in a long time will not attract visitors, which is why it is important to freshen things up. You can either upgrade your web design or design a brand new one from scratch to ensure that your website manages to attract more traffic.